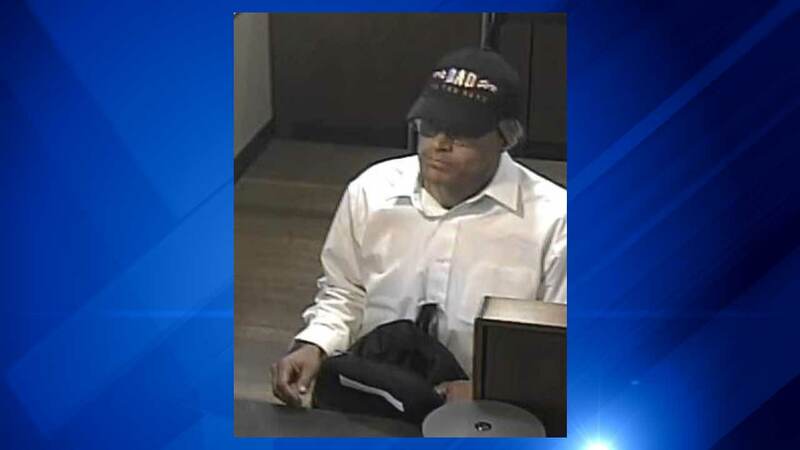 MUNDELEIN, Ill. -- A man robbed a Chase Bank branch Friday afternoon in north suburban Mundelein. The bank, at 380 Townline Rd. in Mundelien, was robbed about 3 p.m., according to the FBI. The robber is described as a white man, standing between 5-feet-7 and 5-feet-9, weighing between 150 and 160 pounds, with blue eyes, eyeglasses and an average build, the FBI said. He had blonde hair in a shoulder-length ponytail and was wearing a black baseball hat with white lettering, a white button-down shirt, dark jeans or pants and was carrying a small rectangular backpack. A weapon was not shown during the robbery, the FBI said. Anyone with information on the suspect is asked to contact the FBI at (312) 421-6700.